That’s one less Toyota in the field, they were now down to just 5. They’re severely outnumbered. That’s a huge problem at tracks like Daytona and Talladega but it’s a year-round problem as well. TRD went on a search for a new team. Leavine Family Racing raised both hands. They converted their Chevy race cars to Toyota cars over the winter and also formed a new alliance with Joe Gibbs Racing. Kasey Kahne stepped out of the seat in 2018 as he chased medical issues. At the same time, Matt DiBenedetto departed from his team with the hopes of finding a better ride. The stars aligned and DiBenedetto has been placed in the Leavine Family Racing #95. 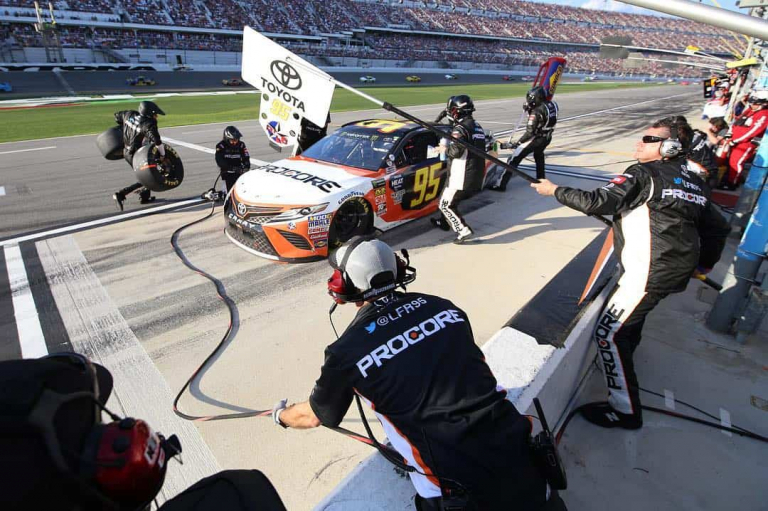 The team unloaded at Daytona International Speedway for the first race of the season and went right to the front. 48 laps were led by Matt DiBenedetto in the 2019 Daytona 500. He more than doubled his career total to that point from the previous 140 races. 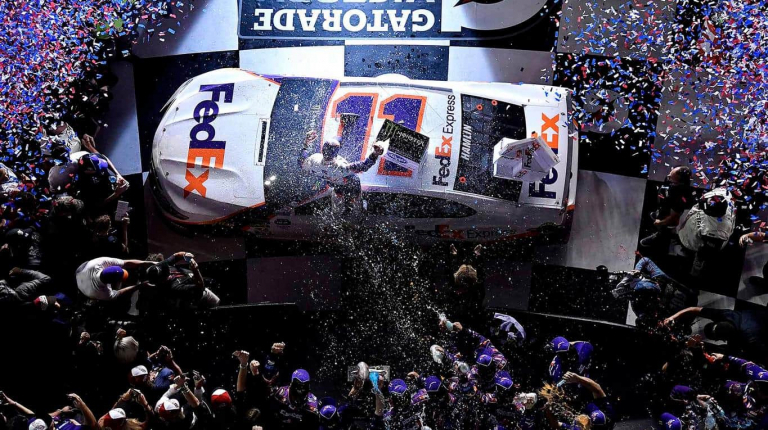 “He really ran well and did a great job in the draft,” Denny Hamlin said after the Daytona 500. “We really kind of hit it off with Bob Leavine and their group,” Joe Gibbs said of the team. NASCAR race cars in the Daytona 500 by manufacture: Chevrolet Camaro (19) Ford Mustang (15), Toyota Camry (6). “I was thrilled that they ran the way they did,” Joe Gibbs concluded.